It’s a wholesome, logical and uncomplicated idea that works: Siskiyou Sungrown utilizes the entire cannabis plant — grown organically and outdoors — to produce award-winning CBD hemp products that provide effective relief from a broad range of medical conditions. Founded in 2014, Siskiyou Sungrown has emerged as a standard bearer in the medicinal cannabis industry. Its 10-acre operation is a model of innovation and efficiency. Grey, an engineer, leads a team of committed professionals with degrees and expertise in biochemistry, soil science, engineering, health sciences, geology, entomology and permaculture. More than 30 employees and contractors work together to create and distribute Siskiyou Sungrown products. 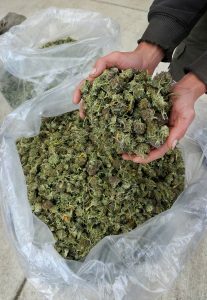 A pioneer in the cannabis industry, Grey was appointed as the only grower and product producer on Gov. Kate Brown’s newly formed eight-member Cannabis Commission. He also serves on the state’s primary OLCC Recreational Marijuana Rules Advisory Committee, the Josephine County Cannabis Advisory Panel and is a founder and past president of Oregon Sungrown Growers’ Guild. 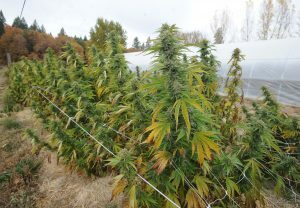 Grey opened a retail store this fall in Grants Pass called Siskiyou Sungrown CBD Hemp Headquarters, at 1205 Rogue River Highway. Open Monday through Friday, from 9 to 5, the shop offers a clean and welcoming environment with lots of light, warm wooden floors and accents. 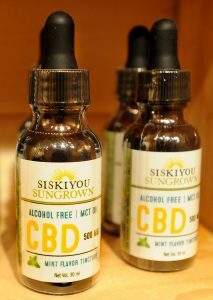 Siskiyou Sungrown’s CBD hemp products are also available on the company’s website, SiskiyouSungrown.com. 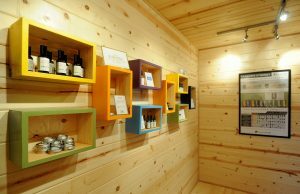 The company’s flagship products include three variations of cannabis medicines in three different forms: oil, tincture and softgel. They offer CBD-rich products; THC-rich products; and also 1:1 products, which are composed of equal parts CBD and THC. The CBD products contain less than 0.3 percent THC. These products sell for $40 (pre-tax) for a milliliter of oil, a fluid ounce of tincture, or for 20 softgels. He added that someone fighting serious illness — such as cancer — might consume substantially more. The company makes two types of tincture: alcohol-based and MCT-based, which also delivers classic full-spectrum CBD hemp oil. 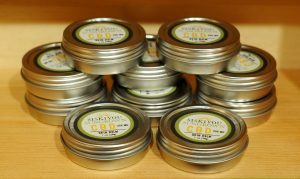 Siskiyiou Sungrown’s THC cannabis (and other products) can be purchased at medical dispensaries statewide, including several locations in Medford and Grants Pass. While recreational cannabis was legalized in Oregon in 2016, the Greys remained committed to their roots on the medicinal side of the industry. 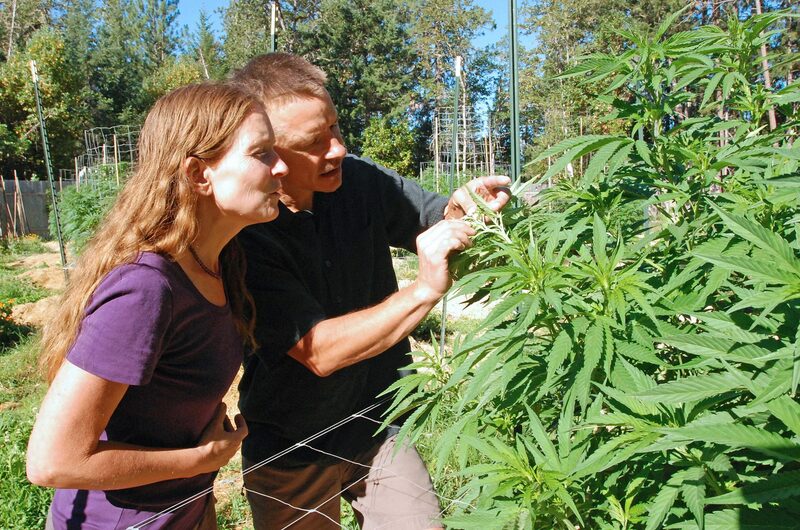 This homegrown success story began when Grey, a sixth-generation Oregonian, and his wife and business partner, Madrone Grey, moved to Williams and became licensed to grow medicinal cannabis for patients about 20 years ago. He learned about medicinal cannabis oil “at a time when I was struggling with PTSD symptoms and found the oil to be very effective in relieving my symptoms.” He learned he could make the oil with certified organic cane alcohol, “which meant we could produce a completely organic medicine, and that mattered to us.